Maddamasetty Savithramma is his second daughter. 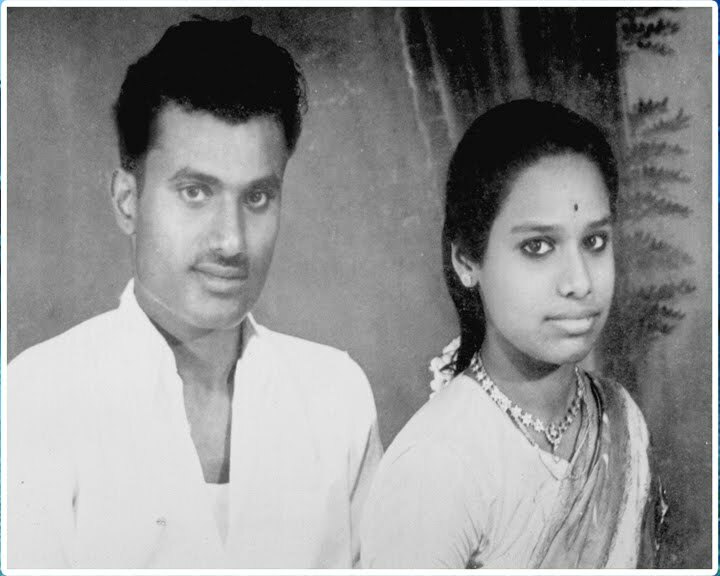 She is married to Angajala Jagannadhayya, second son of Angajala Peda Pedappayya in 1953. They had four sons. They are Angajala Nageswara Rao, Angajala Muralikrishna, Angajala Rajasekhar and Angajala Ravi Kumar. They have adopted Bandaru Kalavathi, second daughter of her elder sister Seethayyamma and married her to Maddamasetty Mohan Rao at Salur. Angajala Jagannadhayya was doing Tamarind Business at Salur. He died of Heart attack on September 29, 1989. She is presently living in Hyderabad. Angajala Nageswara Rao is their eldest son. He is born with Heart problem. He could not study, but capable of helping the relatives and friendly with the business people. He was helping his father in the business staying at home. He died of heart failure in 1989 at Salur. Angajala Muralikrishna is their second son. He has done M.Com and M.B.A. postgraduate degrees. He is presently working in Rural Electrification Cooperative Society as Senior Accounts Officer at Cheepurupalli. He has married Indiramma, second daughter of Maddamasetty Bharata Rao in 1983. They had two daughters Angajala Srividya and Angajala Sowjanya. Angajala Srividya has done B.Tech and married Indugu Srihari. They have one daughter in 2009. Angajala Sowjanya studied B.A. degree and married to Maddamasetty Ramakrishna. They are living in Vizianagaram. Angajala Rajasekhar is their third son. He has done M.B., B.S. from Andhra Medical College, Visakhapatnam and M.D. in Pathology from All Indian Institute of Medical Sciences, New Delhi. He has established National Pathology Laboratory in Hyderabad and running in successfully. He is married to Dr. Padma Kumari, second daughter of Redlam Sriramulu at Srikakulam in 1989. They have been helping the family members from Balijipeta and Sigadam in providing medical advise and services. They had a daughter Angajala Gowtami Priyadarshini and a son Angajala Hemanth Kumar. Priyadarshini secured high ranking in EAMCET and got admission to Osmania Medical College, Hyderabad. Angajala Ravikumar is their youngest son. He has taken care of the home and the business after the death of his father. He is married to Sitakumari, eldest daughter of Yandamuri Sanyasi Rao in 1992 at Nowrangapur. They has a son Angajala Vamsi and a daughter Angajala Harika. Vamsi is studying B.Tech. at Rourkela. He died of Brain caner in 2004.